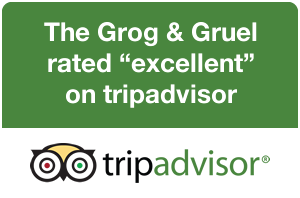 Some 20 years, before the doors of The Grog & Gruel had even opened for the first time, we set out to create a damn good pub. You know, pubs as they used to be. The sort of pub where you could go along and get a decent pint, meet people old and new, and enjoy a bit of craic. The sort of pub that kept its feet on the ground, that provided customers with what they really wanted, rather than what international conglomerates told them they wanted. At the heart of any good pub is a good drink. And we pride ourselves in having plenty of those to choose from. 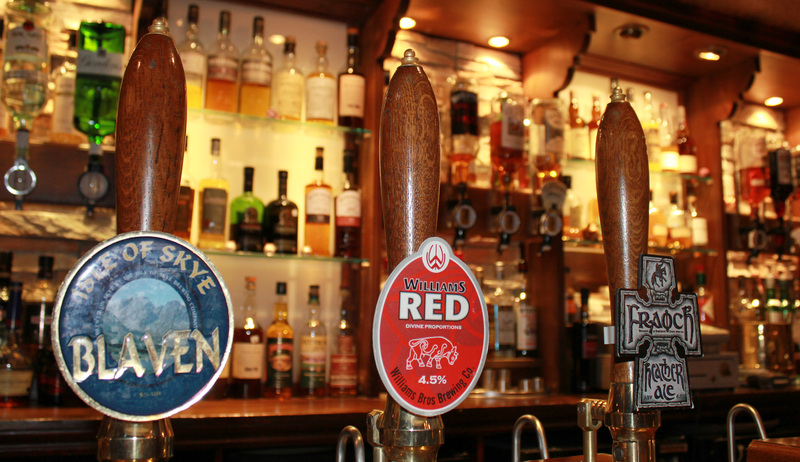 A wide selection of locally or regionally brewed ales has always been available at The Grog & Gruel. More recently, we’re seeing changes to the ‘keg’ beer market, as we favour craft lagers and hybrids over national brands. We’re strong supports of Scotland’s national drink. No, not Irn Bru, the other one. We stock as many whiskies as our shelves will allow, with the usual selection running to approximately 100 bottles. In addition, we’ve put our name to a 10 year old malt, and also offer a 5 year old deluxe blend. Whisky, or scotch as our American friends tend to refer to it, is a huge part of what we offer now. But it might just be that you’re on the High Street, and in need of a good coffee. A pub we might be but that doesn’t stop us from serving fresh bean-to-cup coffee. Pop in for one, or a specialty tea, and catch up with the world courtesy of our free wi-fi. 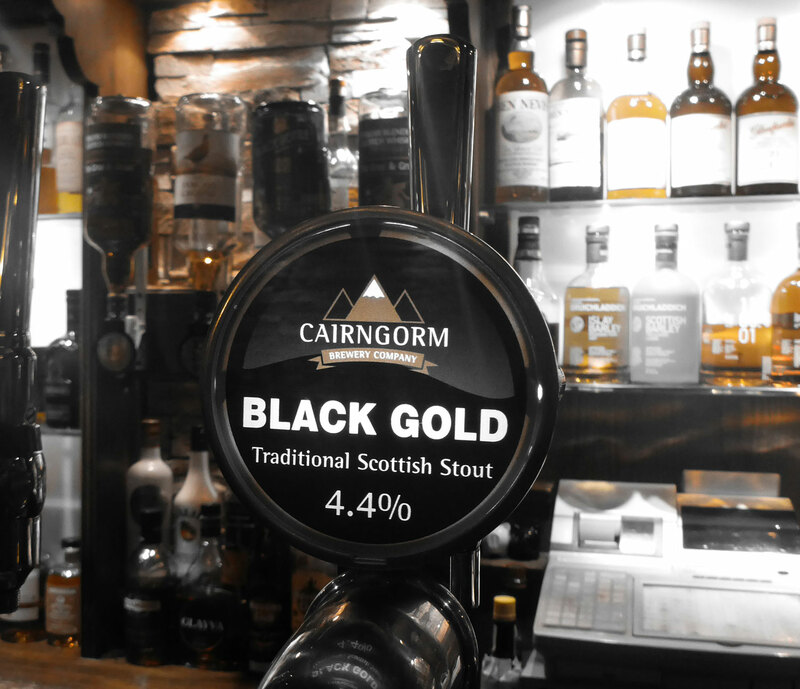 In 2013 The Grog & Gruel helped to launch Cairngorm Lager, a Highland brewed lager from the Cairngorm Brewery, and this has now proven itself, replacing our previous ‘internationally recognised’ lager brand.